I would start an “I love capitalism” movement because I believe that Capitalism has contributed more to the fight against hunger and poverty than any other economic system in history. I would start an “I love capitalism” movement because I believe that capitalism does not deserve its bad reputation. Capitalism has contributed more to the fight against hunger and poverty than any other economic system in history, while the opposite model — socialism — has brought infinite suffering to humanity. I know that this is a controversial opinion, but I can back it up with a host of facts. So, I would like to promote the idea of freedom and capitalism, as authors such as Friedrich August von Hayek and Ludwig von Mises have done. I had the pleasure of interviewing Dr. Rainer Zitelmann, author of The Wealth Elite: A Groundbreaking Study of the Psychology of the Super Rich (LID Publishing, 2018). 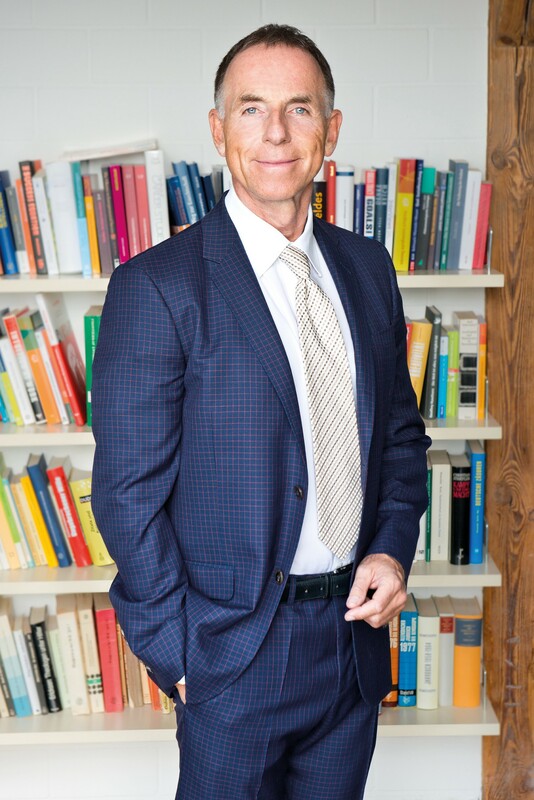 Dr. Zitelmann holds doctorates in history and sociology and is the author of 21 books. The material in The Wealth Elite is based on his second doctoral dissertation. It must have something to do with my family. My father, Arnulf Zitelmann, is a successful author whose books have been translated into many different languages. He is 89 years old and has just finished a 1,200-page biography of the astronomer Johannes Keppler — and, with more books in the pipeline, he isn’t about to put down his pen anytime soon. I have been writing all my life — I was seven when I got my first typewriter and published my first school newspaper at the age of ten. But “career path,” as you described it in your question, is not really the right word for me. I have written and published 21 books, but have never really thought of making my living from my books. My professional life has actually been rather varied: I have been a university historian, a department head at one of Germany’s leading daily newspapers, editor-in-chief of a major publishing house, and most recently an entrepreneur and investor. That’s how I have earned my money, not as an author. I have become very wealthy through my work as an entrepreneur and real estate investor and can now devote my time almost exclusively to my work as an author. In 1989, I edited an academic collection of biographical essays of some of the leading figures of Nazi Germany together with the American historian Ronald Smelser (University of Utah). The book was also published in English in 1993 as The Nazi Elite. The authors included internationally respected historians from the USA, Germany, Great Britain, France, and Italy. As they all speak German very well and have spent years and even decades researching and writing about German history, I thought that they would all be able to write their essays in German. But when I read what they had written, I realized I had made a big mistake. Despite the fact that they were all excellent in terms of content, it ended up being a massive task for me to rewrite most of the essays so that they read well in German. From that experience, I learned that it is almost impossible to write really well in a language that isn’t your mother tongue. I am currently working on a truly fascinating project — the German version of the book will be published in late February next year and I hope it will also be published in other languages. It is the first major academic study to explore the prevalence of prejudice towards rich people. There are thousands of books and articles in the field of prejudice research, especially in the USA, covering intolerance towards Jewish and black people, homosexuals, and migrants. All this has been very well researched. There are also a few papers on “classism,” but they mostly deal with negative stereotypes of the poor. What is so far missing is an academic standard work on the subject of prejudice directed at rich people. I worked with a renowned opinion research institute, Ipsos MORI, and a German institute to conduct opinion polls in the USA, Great Britain, France, and Germany. I wanted to find out what people in America and Europe think about the rich. I also analyzed the way rich people are presented in newspapers, magazines, and Hollywood movies. And I wanted to better understand the psychology of social envy. It will be an extensive socio-psychological work, comprising roughly 450 pages, and I am now almost finished. From the 20th century, there are three people in particular: Margaret Thatcher, Ronald Reagan, and Deng Xiaoping. I know that they are not at all popular in intellectual circles but in my recent book, The Power of Capitalism, which is being published in English in November, I demonstrate precisely how much they benefited their countries, including — contrary to what most people might think — the poor. I admit that I don’t read any fiction, not even classical literature. I do have several thousand books at home, most of which I have read. But they are all academic works and non-fiction books: history, politics, economics, finance, and psychology. I cannot name a single author who has particularly inspired me, but I am always enthusiastic about the works that I am currently reading. Recently, for example, I was fascinated by the work of the Chinese economist Zhang Weiying, who I actually got to meet in Beijing the other day. In terms of their writing style, the two books How to Win Friends and Influence People and How to Stop Worrying and Start Living by Dale Carnegie impressed me the most. I think he has a wonderfully simple and sensitive approach to writing. His books have rightly been bestsellers in many countries for decades. In terms of autobiographies, I draw inspiration from Arnold Schwarzenegger’s Total Recall because he has lived three lives in one lifetime — as a bodybuilder, actor, and politician. I write my books to enlighten, correct widespread misconceptions, and enable people to better understand things that they have maybe not understood for themselves. My first book was my dissertation on Hitler, The Policies of Seduction. I wanted to understand for myself the thought processes of a man who brought so much suffering to the world. My second dissertation was on the psychology of the super-rich, The Wealth Elite. I wanted to get a better idea of how the super-rich tick and what personality traits distinguish them from other people. I always learn a lot when I write. I learn to understand things better. And I want to communicate what I have learned to other people. Whatever you do, please don’t try to make a living from writing. That’s something that only very, very few people can be successful at. And I think it is important to gain experience and be successful in the real world, outside of books. Successful people write books that are very different from books written by frustrated people who have failed in life. You should regard writing as the most beautiful hobby in the world. And, if you do want to write as your main job and earn your living from writing, you should do so only if you have very, very few material needs and can be content with very little money. Of course, this doesn’t apply in my situation. And please pay particular attention to the five pieces of advice I give below. a. Don’t worry about whether what you write is met by criticism and opposition. All new ideas and insights encounter resistance at first. And make sure that you only ever write what you yourself are convinced of. b. Before you submit your manuscript to a publisher, make sure you have shared it with other people who have the courage and competence to criticize you. You’ll get the most valuable feedback from people whose opinions are completely different from yours. And give the manuscript to people who can help you to simplify your writing. e. Think internationally, not nationally. Try to write books that people in other countries will be interested in, not just readers in your own country. And if your mother tongue is not English, but you write in other languages, then go through the English translation of your book word by word, because this is the basis for translators working in other languages. I just came from a reading and promotional tour of five major cities in China. It was a great experience to talk to so many Chinese readers about my books. Warren Buffett and Arnold Schwarzenegger. I must have read every single biography that has ever been written about them, but would still love to get to know them personally. What’s Wrong With Capitalism? How Can You Get Away From It?